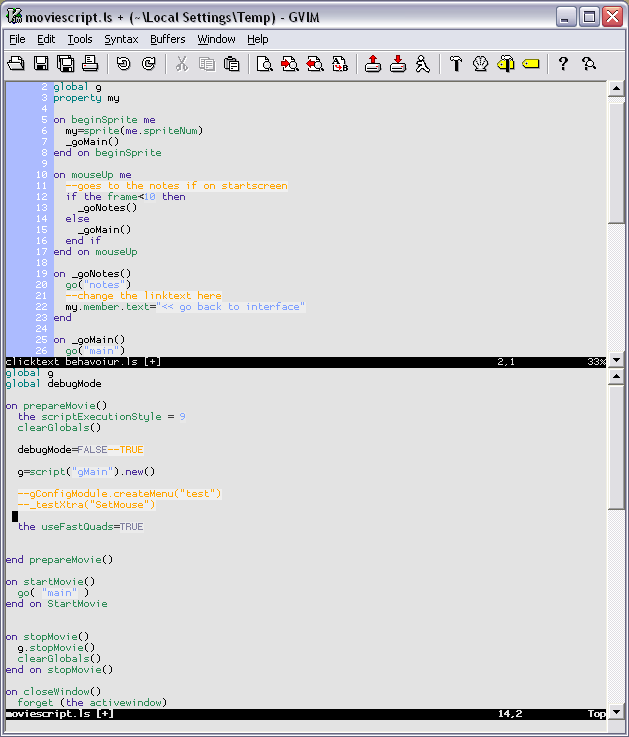 Vim is an unconventional, but very effective code-editor. If you are willing to give it some time, you should try out - it's worth it. A nice little tutorial helps you to get started, everything else can be found at vim.org. Installation guide and details at the link. 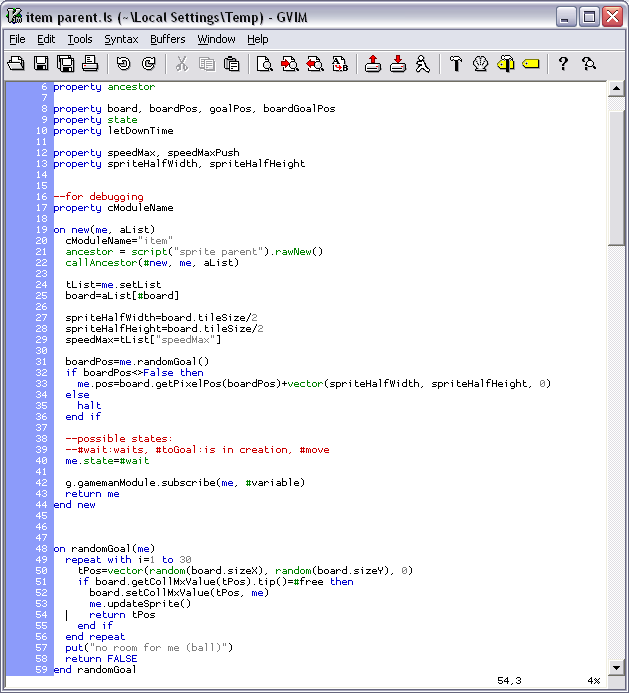 It is very practical to keep all kinds of notes in simple text files (as for example suggested in David Allen's "Getting Things Done" and blogs like joelonsoftware.com). They stay small, even with huge amounts of text and are quick to search and change. Combining this with the editing mightiness of vim and some syntax highlighting for better structuring, you've got an easy but powerful tool for notes at your hand. I used the Wikipedia syntax as base, since it's proven simple human-readable syntax, that is well known. 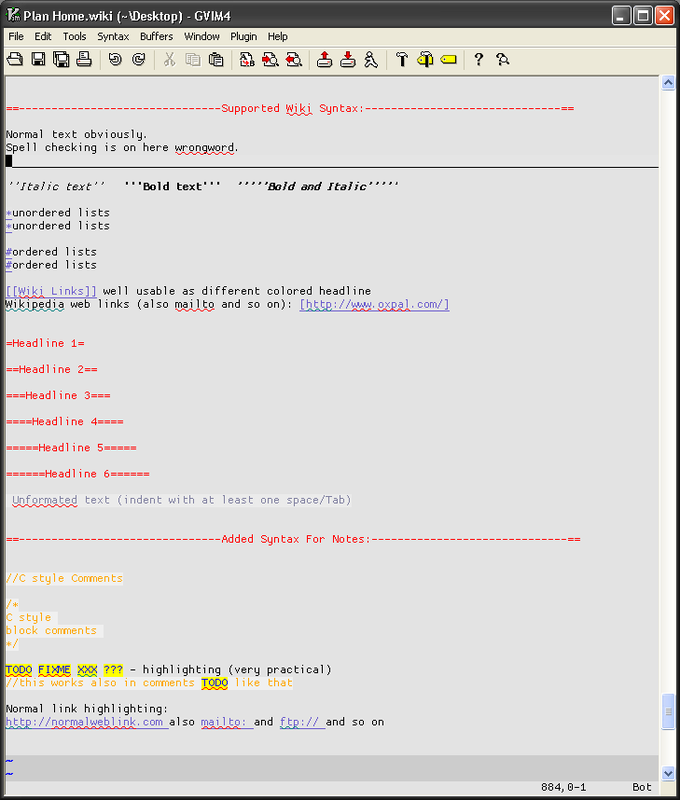 Then I added a few features like c-style commenting and html link highlighting. Script for the Lingo syntax. I try to keep this script up to date - in case you note something missing - you can either update it or mail me. 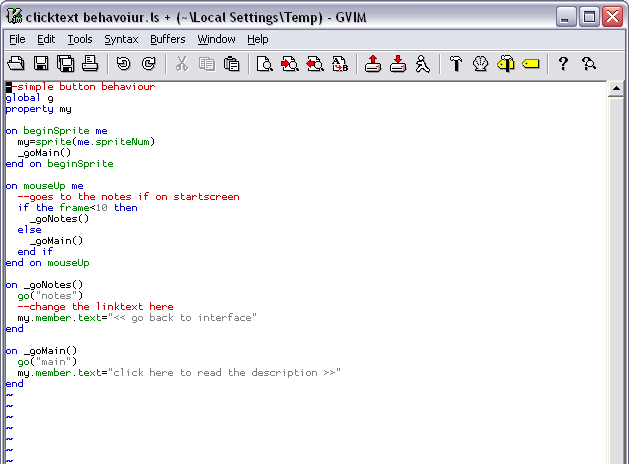 One very useful function of Vim is the possibility to convert syntax to HTML. This way you can easily put colored code-snippets on webpages (see below). With this color scheme, the output will look exactly like in Director (if you use it with the lingo.vim). You can even get the line numbers in the HTML if you wish to. Details at the link. my.member.text="<< go back to interface"
my.member.text="click here to read the description >>"